The word trauma used to be a term that was mainly used in the field of social work and other helping professions, but lately it has become more common in everyday conversations. Oprah is even talking about it! And for good reason. Research such as the Adverse Childhood Experience Study has helped bring into the limelight the impacts that early childhood trauma can have on us as individuals. The more trauma’s impact is studied and shared the more important it is for everyone to learn about what it is and the effects it can have on us and on our campus community. At some point in our lives, most of us will live through a traumatic event. 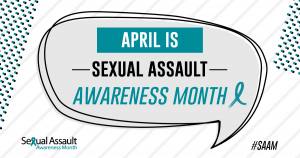 It could be a car accident, a natural disaster, a medical emergency, a fire—or we could experience a trauma inflicted by another person in the form of sexual assault, domestic abuse, or combat. Trauma can also come from seeing another person be seriously hurt or killed, or learning about something awful that happened to a person we love. Broadly speaking, trauma is defined as an emotional response to a terrible event or series of events. Traumatizing events can take a serious emotional toll on those involved, even if the event did not cause physical damage. Everyone’s experience of traumatic events will be different. How people are affected, cope, and recover varies greatly. Trauma can raise our stress levels making it difficult to focus and retain information, sleep, and maintain healthy relationships. Trauma impacts how we see the world and the people around us. It can make it difficult for someone who has experienced trauma to tell the difference between a non-threatening situation and a peaceful one. How can we lessen the effects of trauma here on campus? The simple answer is by building and fostering resilience. Resilience is generally used to describe an individual’s ability to “bounce back” or recover, even in the face of highly stressful and traumatic experiences. While there is no one magic solution to heal from a traumatic event, these six factors can help build a solid path on the road to building resilience and promoting recovery here at Illinois State University. Sleep. We all know how important sleep can be to our overall wellness. Getting a good night’s sleep can be easier said than done for a survivor of trauma. Here are some helpful tips for creating a good sleep environment. Mediation/Mindfulness. Practicing mindfulness brings us more into the present, and it offers techniques for dealing with negative emotions when they arise. That way, instead of getting carried away into fear, anger, or despair, we can work through them more deliberately. Illinois State University offers a mindfulness student group as well as professionally led mindfulness classes for students, faculty, and staff. Nutrition. Eating a good and balanced diet is important for all aspects of wellness, especially when dealing with and recovering from a stressful or traumatic life event. Illinois State University can help with nutrition consults. Talk therapy. Sometimes the simple act of communicating and connecting with another individual is powerful enough to help someone move past the traumatic event and start to heal. Other times having a trained counselor may be something that an individual seeks out. Student Counseling services at Illinois State University offers confidential trained counselors for students who may be seeking additional talk therapy. Exercise. Regular physical exercise has many positive physical health outcomes, such as improved cardiovascular health, weight loss, and greater flexibility and mobility. In addition to these physical health outcomes, regular exercise can also have a positive impact on your mental health by reducing anxiety and depression. The Student Fitness Center is open seven days a week and offers many structured group classes as well as traditional cardio machines, weights, swimming pool, and indoor track. Touch. Many people understand the benefits of massage therapy for physical injury and pain. However, massage can have a profound benefit for those dealing with deeper sources of anguish caused by trauma. Health Promotion and Wellness partners with Aches Away massage specialists to offer massage services on campus in 153 McCormick Hall on Wednesdays and Thursdays for only $1 a minute. Illinois State University is a big campus. Remember that who we walk by in the Quad, take classes with, or work alongside may be living with the scars of a traumatic life event. We never truly know what others may be dealing with—so always remember to practice kindness to others and especially to ourselves.